Repeated notifications that "Solstice is still connected..."
If you are unable to install the Mac OS Solstice client due to it crashing during the installation process, upgrade your Mac to the most current version of MacOS via the App Store. The crashing behavior is due to your laptop running an outdated version of Mac OS. This is not a bug, but it is a feature that can be turned off. Notifications are meant to remind users they are still connected to Solstice, in the event they leave a room but forget to disconnect. Turn them off in the Solstice client by toggling Notification Settings to None. 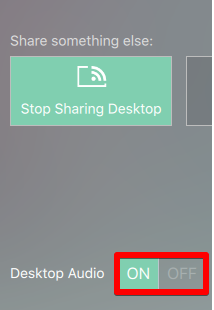 Be sure you are sharing your Desktop (or Media File, if streaming a local file from your computer). App Window is designed to only share an app window's video content; it will not carry audio. 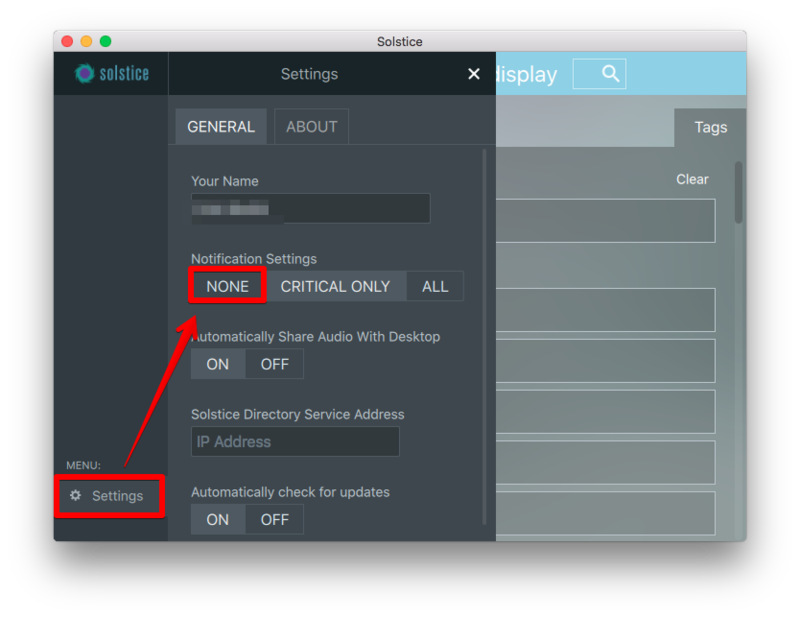 Be sure Desktop Audio is toggled On within the Solstice client. Do not mute your device while Solstice client is active. 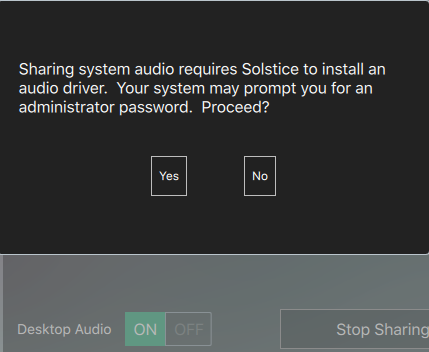 When you toggle audio On in Solstice, it automatically mutes your computer audio to prevent echoing. Toggling mute on/off via laptop function key will confuse the Solstice as to the current state of your computer's sound. Use the Solstice app's controls for turning audio on/off, and use the volume controls within your browser or app to fine-tune volume levels. Use Xavierwireless rather than Xavierguest on your device whenever possible. Xavierwireless has optimizations for streaming video. Xavierguest was not designed with video streaming in mind. Restart your device. Rebooting a device can address a wide range of performance issues, particularly if that device is infrequently rebooted or shut down. If playing a local video file from your computer, use VLC Player. There are numerous video players available, but some lack the full set of codecs needed to playing video and audio properly. VLC Player is recommended. If you do not have it installed on your computer, it can be downloaded free from https://www.videolan.org/vlc/. Use a wired connection as a workaround, for now. A single active display cannot be extended and mirrored at the same time. Mersive is planning to add support for this in an upcoming version of the Solstice Client.